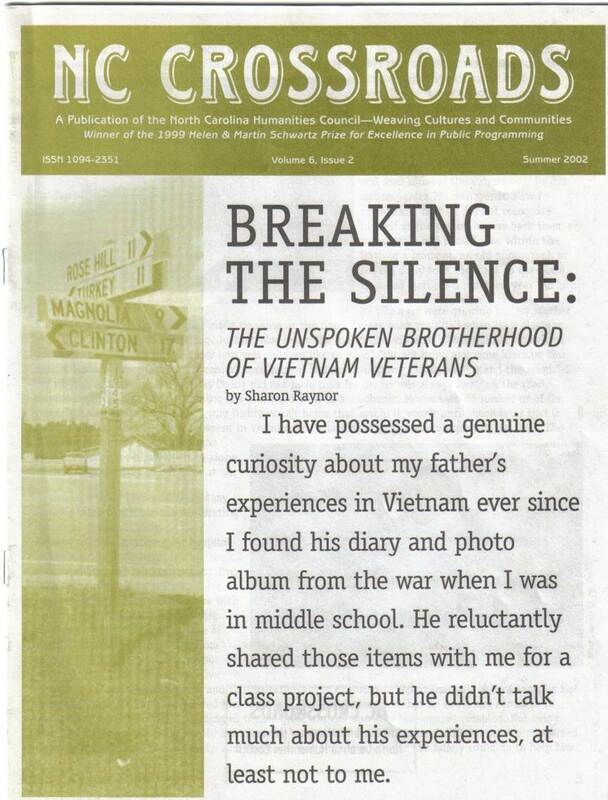 “Breaking the Silence: The Unspoken Brotherhood of Vietnam Vietnam” reveals the experiences of men who fought in Vietnam and lived to return to the same small, rural communities they had left, though they came back as very different men. They tell of being drafted or enlisting for service, of leaving homes and segregated communities for integrated battalions, of fighting for civil liberties, freedoms and racial justice abroad while the Civil Rights Movement was proceeding at home. They tell of violent loss and disappointing homecomings followed by decades of silence, of personal re-adjustments and survival. While most of the participants in the project have been African American, soldiers of all races were among the first to serve in fully integrated troop battalions in a combat zone, so their stories have special significance.